Disclosure: The GOLiFE Care Activity Tracker fromPAPAGO! mentioned below was provided for me in order to facilitate my review. All opinions are my own and honest. I am disclosing this in accordance to FTC Guidelines. Please see “Disclose” tab for more information. I have been really big into working out lately and I have really enjoyed ‘getting back into shape’. I had been looking at all the different activity trackers that are available for awhile. There are a wide variety of them out there and it’s hard to know how you can get the best bang for your buck :). I must admit that I have been completely impressed with my GOLiFE Care. Vision: PAPAGO! Inc. has devoted itself to offering better services and driving technology for every consumer. Our goal of constantly innovating and communicating new ideas to the public are paying off.PAPAGO!Inc. keeps researching the latest driving technology, seeking breakthroughs and creating a different future. They believe that working out is one of the best ways to express pressure and maintain a healthy body, and it is better to have friends who can share this interest with you. This wonderful activity tracker is a very helpful tool for those that are active. You will see that it has a wide variety of activities. Record Fitness Data and Sleep Patterns– The GOLiFE Care can help you record the number of steps that you walk, the distance you walk, and how many calories you burn daily. It will also even tell you if you are getting enough sleep at night. Never Miss a Call Again – It will send a vibrating alert when you receive an incoming call from your smart phone. This is very helpful when your phone is on silent mode or not right with you. Stylish Design with a High-Resolution Screen – It is designed with a stylish brushed metal face and silicone band making it comfortable and versatile for everyday wear. Time Display and Alarm Reminders – It always shows the correct time with a push of a button. It can even wake you up in the morning with a vibrating alert at a time you designate. Water Resistant – The IP66/67 class seals the band airtight to block dust and resist water damage. Ant+ and Bluetooth Syncing Feature – It has low power consumption transmission so data can be synchronized after pairing with your favorite devices without risk of draining the battery. Connect to GOLiFE Fit – This convenient app is designed specifically for the GOLiFE series. 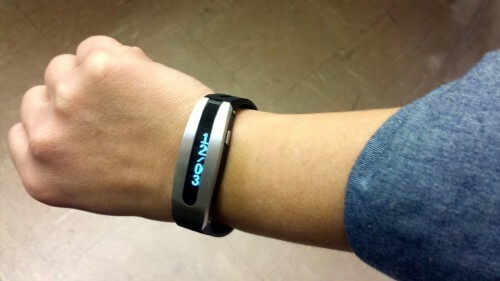 It will synchronize the number of steps/distance walked and calories burnt data and display them on a clear chart. It can also work with the GOLiFE Fit Bluetooth smart scale to effectively manage your daily health records. To make sure that you stay up to date on all PAPAGO! things, be sure to follow them on Facebook! I must say that I am completely impressed with my GOLiFE Care. I enjoy being able to see in numbers what I’ve done throughout the day. I have enjoyed watching how accurate it truly is when I’m out on a run or even on my treadmill. I must admit that I also am really impressed with the style of it. I dress up frequently and I like that it looks nice no matter what my attire is. The GOLiFE Care is also extremely comfortable. For something that you are wearing at all times, it is very important that it is comfortable and I never really seem to notice that it is hanging out on my wrist. I enjoy seeing my sleep patterns, which is done easily when you take a moment to put the device into sleep mode. I like seeing how often I move throughout the night as well, I didn’t realize that I have nights where I toss and turn and nights where I am pretty still. The steps and distance seem to be incredibly reliable. I really like that it is done quickly and easily with a touch of a button or turning on the app on my phone. I currently am attending a Spin Class and I will say that it doesn’t really seem to recognize my movements during that class, but to be honest none of the activity trackers that I have seen seem to pick up time that you are on a bike. Which truly makes sense since your arms aren’t moving. I think that this would be a great gift for a wide variety of people in your life. It works great and looks great at the same time. My husband has even borrowed it for a day to see how he does throughout the day. He is a great deal taller then me, so we did have to change some settings, but he really liked it as well. If you are interested in purchasing the GOLiFE Care, you can head on over to the website and find the ideal place for you to pick it up. 1 Lucky Winner will receive a GOLiFE Care of their own. I like that it tracks calories burned! I love and think it’s crazy that it can track your sleep patterns! That’s amazign! Thanks for the giveaway! I am excited. I hope I win the prize. I like the feature it wakes users up gently with the built-in vibrating alarm at a time they set. I like the long battery life. I am bad about forgetting to charge things. I also would love to find out my sleeping patterns. I know that I wake up a few times a night but I would like to track it. I really like the long battery life which is great so I don’t have to constantly have to charge it up. Thanks for this giveaway! 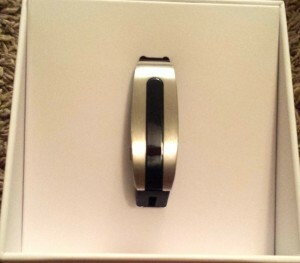 it can actually track your sleep patterns and let you know if you’re getting enough sleep. Thanks for the giveaway! I am excited. I hope I win the prize. 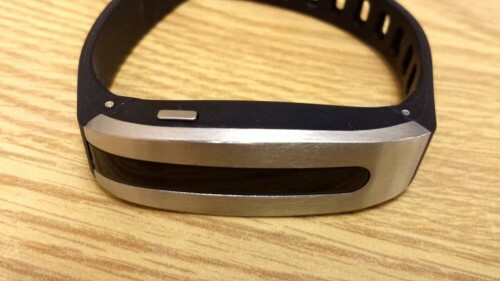 I really like the look of this watch compared to other fitness trackers I’ve been looking at. Also, I like that it can be used as a vibrating alarm clock on your wrist. I love that At night, it could record users’ sleep quality and patterns and users may check all their stored data on the GoLife APP from their Android or iOS device!! I like that I may check all their stored data on the GoLife APP from their Android or iOS device. I hope I win. Thanks. I really like the look of the GOLiFE Care and unlike a lot of the other activity trackers it has a bright LED screen that will always show the correct time. I learned about the vibrating alarm feature. This would be useful for me. I hate the sound of my alarm! What I love the most about the GoLife Care Activity Tracker is that it can actually track your sleep patterns and let you know if you’re getting enough sleep. I like the idea that you Never Miss a Call Again because it has a a vibrating alert when you receive an incoming call from your smart phone. I love that it tracks your sleep, I would love my snoring husband to see how much he keeps me awake!! I like that it lasts eight days when charged! I like that it is water resistant and comfortable. I like that it has a vibrating alarm.